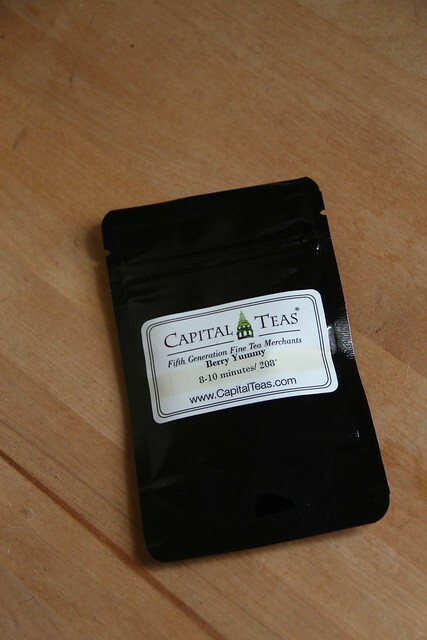 When I placed my order with Capital Teas, they included a free sample of Berry Yummy. It looked great, so I decided to give it a try. 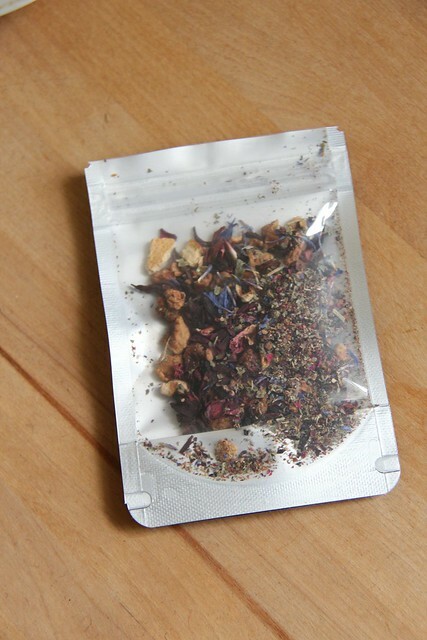 From the website, Berry Yummy contains: apple, rosehip, orange pieces, hibiscus, cornflower and rose petals, blackberry leaves, and natural flavors. It comes in a variety of sizes: 2oz for $9.00, 4oz for $18.00, 8oz for $34.20, 1lb for $64.80 and 2lbs for $122.40. The tea came in a packet with really only enough for one cup. It smelled delicious – full of berries. As it brewed I got the orange and hibiscus scents. The tea itself was fruity and tangy. I added a bit of sugar and enjoyed it hot, but I’m sure it would make an excellent summer iced tea. Next The Corner of Knit & Tea: Episode 42, Oops!